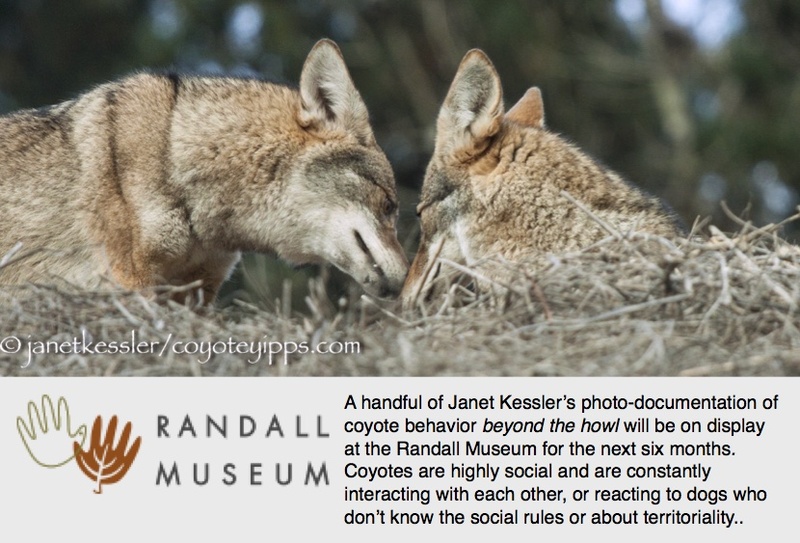 Sibling rivalry and discord are part-and-parcel of coyote families, just as are the formation of tight and everlasting bonds and friendships. Here a younger sibling continues to harasses his sister (see Yearling Taunts) through body blows/bangs/punches or smacks. He seems to have a need to egg-her-on, whereas she just wants to be left alone atop the mound. This younger brother followed her there explicitly to taunt her and dives into his activity the minute she tries lying down. This is now an established behavior between these two. No other coyote in this family engages in the type of body blows he performs at the beginning of this video except his mother. Mom is an expert at this, and this 8-month old pup watched and learned from her, and now uses his sister as his punching bag to practice his technique. Coyotes are keen observers: they learn by watching and copying. It’s fascinating to watch. After the body bangs, the younger sibling continues to be “in his sister’s face” by yanking up dried sticks disruptively right next to her. He’s purposefully making himself into an utter nuisance and is probably hoping for a rise from her. Eventually, a third older sibling comes to check out the activity, but he soon leaves because the disruptive behavior is not enough to warrant interference. This older sibling is very mild, peace-loving, and generally aloof from the first two, but he has occasionally been a disciplinarian when their behavior became too disruptive, and he also has approached the female to comfort her after some of the youngster’s harassment sessions, which lately are growing in number and intensity. Coyote families are orderly, so growing disruptive behavior is not tolerated for long. This behavior will eventually lead to someone’s dispersal. This video depicts a yearling male taunting his two-year-old sister with an unusual technique he picked up from his mother. Coyotes learn by observing and imitating, which is definitely what went on here. The only coyote I know who regularly uses this body-blow method for discipline or fighting, is these coyotes’ mother who has used it at various times towards her daughter, this same two-year-old sister. The yearling male obviously picked it up from her by watching and imitating her, and in this video he bangs his sister tauntingly and mercilessly with this new-found skill. He is doing it simply to bully and harass her. What led to this is that older sister for a while attempted dominating younger brother and got rather aggressive in doing so. This may be because younger brother had the habit of following big sister around and imitating her, and as he did so, he would get in her way. So Sister reacted. Soon, Mom interfered and forbade daughter from any aggression towards her younger brother. If Sister showed any aggression towards younger brother, Mom would interfere with an aggressive put-down towards the daughter. The result was that younger brother became more and more taunting, and the daughter had no recourse except to put up with it, which she is doing here, as he practices and perfects his body-blow technique on her. Interestingly, he’s the one who ended up dispersing, of his own volition, at a year-and-a-half of age, whereas she is still part of her birth family.